A delightfully sharp novella by the legendary Diana Wynne Jones. Hayley's parents disappeared when she was a baby. Since then, she has been raised and homeschooled by her grandparents. Grandad is overworked and travels a lot; Grandma is much too strict and never lets her meet any children her own age. When Hayley does something wrong she is not quite sure what they pack her off to her aunts in Ireland. 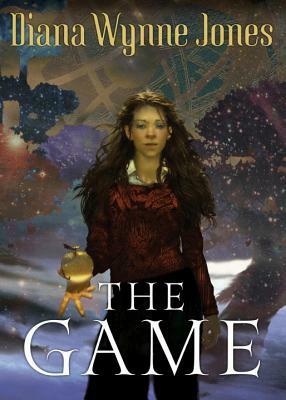 To Hayley's shock, her family is much bigger than she thought; to her delight, the children all play what they call the game, where they visit a place called the mythosphere. And while she plays the game, Hayley learns more about her own place in the world than she had ever expected. This original novella by Diana Wynne Jones is sharply funny, fast-paced, and surprising until its very end like all of this acclaimed author's work. Diana Wynne Jones is the multiple award-winning author of dozens of books, including "Howl s Moving Castle" (made into an Oscar-nominated animated film by Hayao Miyazaki), the five-book Chrestomanci series, The Chronicler of Dalemank, "Fire and Hemlock, " and "The Tough Guide to Fantasyland." She lives with her husband, the medievalist J. A. Burrow, in Bristol, England, the setting of many of her books. They have three grown children and five grandchildren."